The 18th Asian Games, which run until Sept. 2, are being held in Jakarta, Palembang on the island of Sumatra, and in West Java. About 12,000 athletes, support staff and officials and 5,000 journalists are expected. It's the second time Indonesia has hosted the games. The first in 1962 was under the country's founding president Sukarno, who wanted to showcase Indonesia and himself as a leader of nations who'd thrown off colonial Western rule. This time, Indonesia, projected to be among the world's 10 biggest economies by 2030, wants to shift perceptions that it's in the 'too hard' basket and pave the way for an eventual tilt at even bigger sports hosting baubles. All venues are finished and tested with only beautification work being carried out just days before Saturday's opening ceremony, said organizing committee member and sports ministry secretary Gatot S. Dewa Broto, who pronounced the facilities "extremely wonderful." An opening ceremony involving 5,000 performers is planned with a mythological theme, flying people and, indispensably in a country of dozens of active volcanoes, a mountain that erupts, albeit a "very small eruption," Dewa Broto said. The official website says the games will be "inaugurated through a colossal ceremony as a way to show the world that Indonesia is a big nation that is capable of hosting an international event." The games are being held at what is domestically a trying time for Indonesia. An earthquake on the island of Lombok last week killed more than 430 people and the country is beginning what's expected to be eight months of presidential election campaigning that trades on religious and ethnic divides. Any significant problems or successes at the Asian Games will reflect on the incumbent president Joko "Jokowi" Widodo. And despite a massive counter-terrorism crackdown since the 2002 Bali bombings, the past several years have seen increased activity by militants who've been reinvigorated by the extremism of the Islamic State group. Local militants have carried out unsophisticated but still deadly attacks across Indonesia, including in Jakarta. Their ideological leader was sentenced to death in June and police have arrested more than 280 suspected militants and killed 21 following suicide bombings in the second-largest city Surabaya in May in which radicalized families used their young children as weapons. 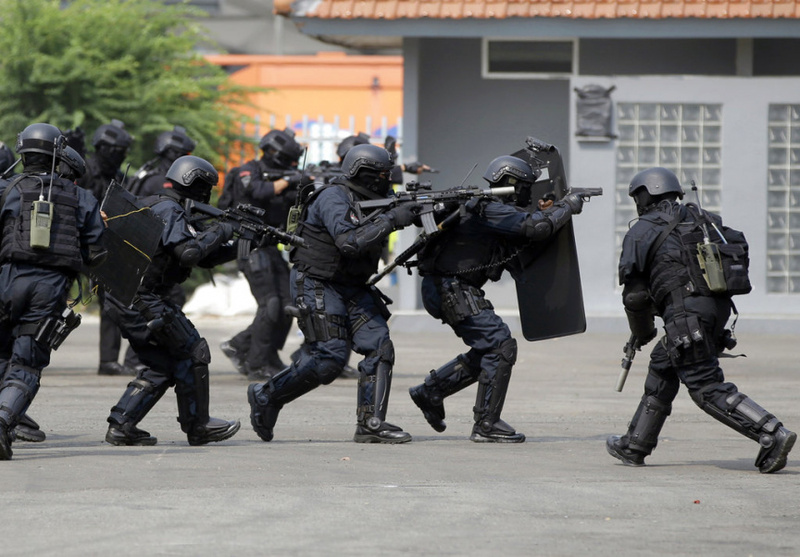 The dispersion of venues is a particular challenge for security, requiring a huge number of personnel to manage everything from traffic to VIP security and terror threats, said Indonesia's deputy national police chief, Muhammad Syafruddin. Some 100,000 police and soldiers are being deployed another 100,000 are on standby, said Syafruddin, who is also chef de mission of the Indonesian team. "About three months ago we foiled a plot by a radical group who planned an attack during the games, but we were able to detect it and prevent it. We can say that our success in detecting possible attacks is quite significant," he said. Indonesia had less than the usual amount of time to prepare after the original host country, Vietnam, withdrew because of financial problems. Known for some of the world's most congested traffic and creaking infrastructure, Jakarta initially seemed unprepared for the challenge of hosting a major sports event. But officials are confident everything is ready. The country of more than 260 million people has spent $2 billion to upgrade its main stadium and connected venues, which were used for the 1962 Asian Games, and build a velodrome and equestrian center in eastern Jakarta. One of central Jakarta's two main thoroughfares has in the past few weeks become an almost unrecognizable boulevard of level footpaths and wide lanes after several years of subway construction — a city improvement being done independently of the games — was cleared away and its obstacle course-like sidewalks repaved. Many athletes and visitors will arrive through the international airport's gleaming new terminal three, another infrastructure improvement that was in the works before the games were awarded to Indonesia. Tests of travel time between the athlete village and the main stadium show it's almost achieving the targeted 30 minutes, possibly helped by expansion of a policy that alternates the days vehicles can use certain roads based on having an odd or even number plate. But not every problem can be solved to perfection. Just a few hundred meters from the revamped thoroughfare that passes the main stadium, long stretches of another significant artery are bounded by open drains and warped footpaths and divided by construction work for an elevated rail line. Air quality has noticeably deteriorated in Jakarta this month, a thick haze hanging over the city most days. Organizers promise an improvement. Schools along the routes for athlete convoys will be closed to further reduce traffic and factories have been asked to go slow. Organizers must also work hard to avoid scratching any of the sore diplomatic points between the 45 countries and territories competing. "We don't have any intention to make any refunds for that one," he said. "We want to be a very good host country. We don't want to get any negative image during the games." Associated Press writer Niniek Karmini contributed.